The limestone formations at Elephant Rocks in North Otago are a site of fossils, including an ancient whale. 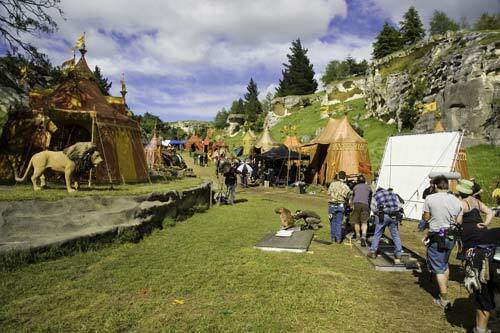 In 2005 they were the backdrop to the Walt Disney film The chronicles of Narnia. A number of international films have used the New Zealand landscape to convey mythic worlds.